Henry Maurice Goldman grew up in a blue collar section of Boston, but he rose through Ivy League institutions to become one of the world’s greatest dental educators. 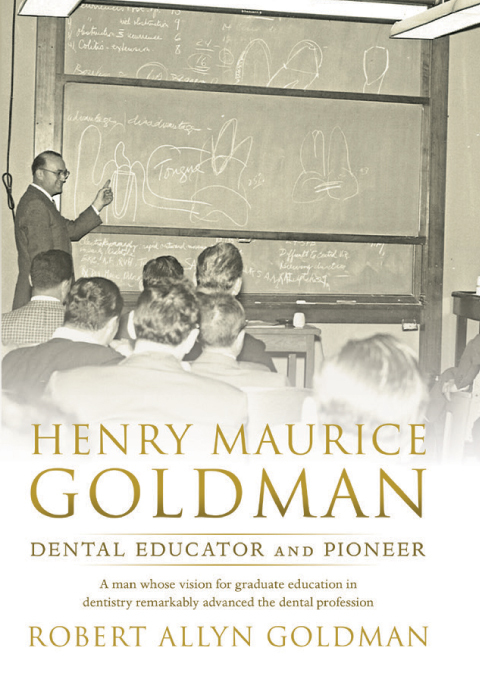 In this biography, Robert Allyn Goldman pays tribute to his contributions in this eye-popping biography that will fascinate dentists, educators, history buffs, and anyone with questions about how their individual dental needs might relate to the profession in general. As Goldman’s career blossomed, he realized how uninformed people were about their own dental health, and when he left The armed Forces Institute of Pathology in Washington, D.C. after World War II, he devoted himself to periodontics, which was at the grassroots of his training and practice in oral pathology. Eventually he discovered that to accomplish his goals, he needed to tackle a bigger problem: the lack of training of dentists and poor dental health care delivery. That led him to devote all his energy to starting a school dedicated to dental specialization. By delving into Goldman’s life story, you’ll get a firsthand look at the problems he solved and gain a deeper appreciation for dentistry and dental health. This is a remarkable and important book describing the life and work of Henry M. Goldman. As a dean, educator and mentor I was privileged to witness his unfailing pursuits to uncover the many mysteries underlying the pathogenesis of periodontology and thus creating a rational approach to treat the disease as a clinician. He pioneered the concept that dental medicine is a subspecialty of medicine governed by the same biological principles. His work has provided the model for our current and future directions in research and clinical care for many generations. ~ Frank Oppenheim, D.M.D., Ph.D., Department of Molecular & Cell Biology, Professor and First Distinguished Scientist, Henry M. Goldman School of Dental Medicine, Boston University Medical Center. Dr. Henry M. Goldman stands alone as the embodiment of a scientist, educator, leader and role model, whose wisdom, knowledge and guidance remain a constant influence for our profession. To me, he was a mentor and friend who provided the example of dedication and professionalism that has guided my career as a periodontist and educator. I am privileged to be a part of his legacy and appreciate the effort that Dr. Robert A. Goldman has put into providing insight into the extraordinary life and accomplishments of Dr. Henry M. Goldman. ~ A. Stephen Polins, Professor, Department of Periodontology, Director, Division of Educational Resources, Student Affairs Boston University, Henry M. Goldman School of Dental Medicine. A most intimate and enlightening dialogue of all the great founders in the science of modern periodontology – bravo! Leaders, like great hockey players, have vision: they skate to where the puck is going to be, not to where it is. Henry saw where dental and periodontal education ought to be-for instance, the periodontal-systemic relationship-and, he led us in that direction. Dr. Henry Goldman is considered the father of modern periodontics. He founded the first private dental school after WWII at Boston University. Dr. Robert Goldman has captured the fascinating life of this legend. Robert Allyn Goldman, a native of Newton, Massachusetts (born in Cambridge, Massachusetts), was educated in Cambridge, Philadelphia, Cleveland, and Boston. He practiced periodontics in the Boston area and in Florida. 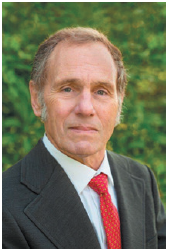 He also taught Oral Pathology, Oral Medicine, and Periodontics at Boston University and Tufts University. He lives in Columbia, South Carolina.